Consumer advocate Spencer Kobren, bestselling author of The Bald Truth: The First Complete Guide To Preventing and Treating Hair Loss, and founder of consumer organizations, The International Alliance of Hair Restoration Surgeons (IAHRS.ORG) and The American Hair Loss Association (americanhairloss.org) speaks to hair loss audiences world wide through his YouTube Channel “baldtruthradio.” Spencer Kobren’s radio show The Bald Truth can be heard live every Sunday night on XM Radio 152 8pm EST. i need a hair trasplant , but i really don’t have much money . I had a non sastisfactory experience before with a trasplant that leave a exagerate scar ( in donator area ), for what i recibe. When they explain me at the time they said that i won’t look bald anymore and i still look bald. 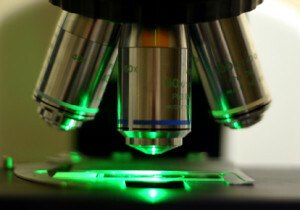 So i would like to meet a really good Dr . to perform the reality what i looking for with the truth. Note: I don’t believe in franchises. You’re not alone. 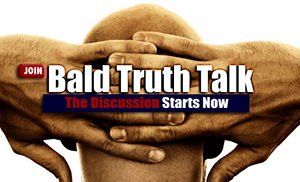 There are thousands of “walking wounded” left behind by less than skilled or ethical hair transplant mills that advertise heavily on television, the radio and on line. The good news is that you can repair a poorly executed hair transplant with today’s state of the are hair transplant techniques. 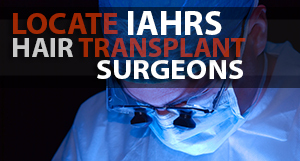 Check out The International Alliance of Hair Restoration Surgeons to start your search for a reputable hair transplant surgeon http://www.iahrs.org . The truth is, having another hair transplant will not be inexpensive, but if you’re committed to the process and find a reputable hair transplant surgeon, you can achieve the results that you are looking for. Just take your time a really do your homework. Ask to meet with a few patients if possible to give you an ideas of what can truly be accomplished.